Business InsiderWe spoke to Usher and Ryan Seacrest at the Cannes Lions advertising festival. Usher has collaborated with some of the biggest stars in the business — Jay Z, Beyoncé, Alicia Keys — but he’s also constantly on the hunt for new, unsigned talent too. “I think I have a very eclectic palette, so if it hits me, I’m engaged, and it doesn’t matter at what level. It could be an artist that I hear for the first time on SoundCloud,” Usher said. “In that space I’m actually introduced to younger artists and [it’s] great that on Tidal they have this opportunity to be seen in the way they want to be seen. It’s not necessarily packaged — it is packaged but you have this ability to be raw and that right there is another great way to do it. It’s not like you get demos and people walk up to you with demos any more,” Usher said. Once he spots talent, he’ll get in touch with the producer or attempt to find an agent in order to offer to collaborate. 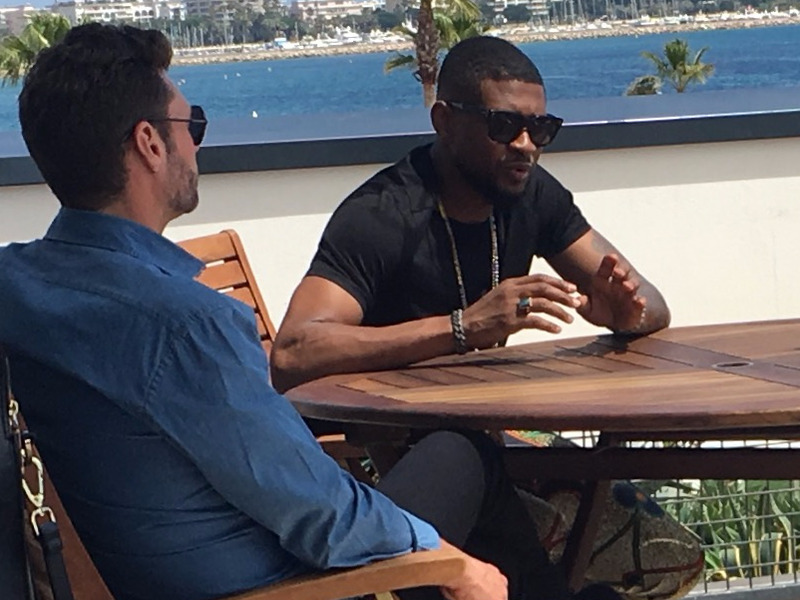 “Social media has made it very easy to connect, too,” Usher said. “Too much for me,” Usher responded. He responded that he doesn’t comb through the data from his social media accounts in a “forensic” way, but he enjoys the form of feedback when a post resonates with his fans and he sees the “likes” adding up.